I opted for this book because of the narrator, Sean Barrett. I was not disappointed. Strong, believable characters and a plot that holds many surprises with sub plots going on in the background. I will definitely look out for the next one in the series. This is well-written with some witty one-liners. It kept my attention throughout. It lacked character development, I thought. I didn't have any understanding of or empathy for the investigators. I will listen to other books by this author but won't be waiting with bated breath for his next book to come out. What made the experience of listening to The Taste of Wormwood the most enjoyable? I am a newcomer to Mr McCarthy's writings, and I wish the Eisenmenger-Flemming series were numbered. I have started with his latest, and it would have been helpful to have begun at the begee! 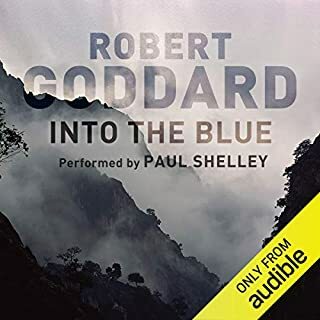 That said, I have totally enjoyed the tale, have listened and re-listened to the whole book three times, and I was still hearing new bits on the third encore. I must have learned a dozen new words, what a great command of the english language ! I have fallen in love with John Eisenmenger, and Beverley is a good runner up. I so understand their thought processes. What does Seán Barrett bring to the story that you wouldn’t experience if you had only read the book? Mr Barrett has a wonderful variety of voices and accents. His talents are huge, I listen to him narrating another series, and he is equally brilliant. There were moments, but I am not going to spoil things for the next reader ! 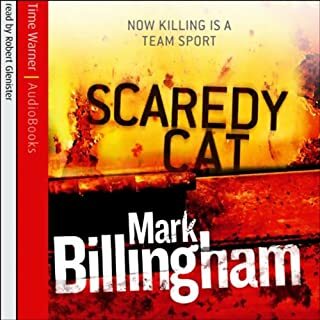 Great reads, listenings, keep them coming Mr McCarthy, you have an avid fan ! I have listened to the series so far, and in order. I came to it through the narrator and looking for other books where he was the reader. He really is very good. As stated, this is the 9th book in the series and of all the books so far it is probably my least favorite. By this stage the main character the pathologist, Eisenmenger, has experienced so much injury and tragedy it is quite frankly amazing that he can still get out of bed each morning. He doesn't have a very big role in this book, probably just to give the poor fellow time to recuperate. The police fare badly in these books. Usually described as small-minded, venal, unpleasant and bigoted. 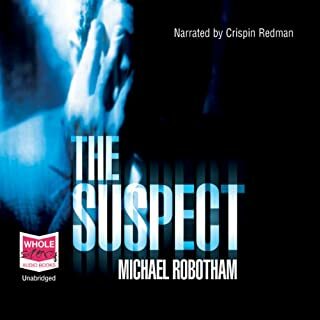 The main investigator has been a character in all of the novels so far but takes the leading role in this one. She sounds so deeply horrible that it is amazing one of her own colleagues hasn't done her in by now. Other groups from 'the establishment' don't come out of this very well either. There are a couple of the perpetrators who actually seem the most compelling and sympathetic characters. On the whole, the plot idea was good, although the pieces were put together quite quickly in the end, once those pesky detectives got out the way. Perhaps not the most uplifting read but I will listen to the next book, partly out of interest and loyalty.Certainly the earlier books in the series had more complexity and more light as well as dark. Which character – as performed by Seán Barrett – was your favourite? Did The Taste of Wormwood inspire you to do anything? I enjoyed this series even better second time around. I enjoyed the story and it explored some interesting themes but for me it was all a bit too easy and fast. It kept my interest throughout but didn't really have me as gripped as some other titles due to the fact it all fitted together quite easily. The reading is brilliant, as usual with Sean Barrett. Read at a good pace this reader adds a real richness to this story. I would recommend if you want something interesting that moves at pace. Very dark, no humour. 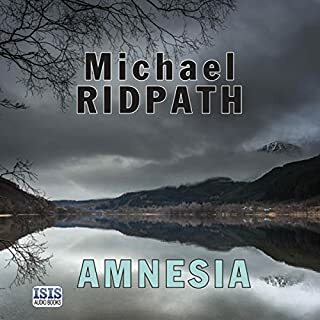 Quite a depressing listen. Overall made it through and am glad it's over. I gave it a punt on a special offer. This really was awful, slightly salvaged by Sean Barrett's reading. 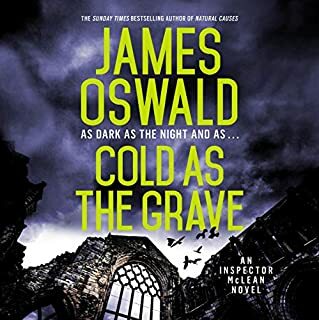 The characters were awful, they were foul mouthed and unpleasant with no redeeming features, the story was implausible and I only stayed with it because I was busy and couldn't be bothered to start a fresh book. Sean Barrett always reads well. 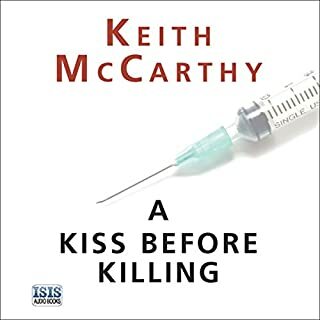 I've never read anything by this author before but even Sean Barrett's excellent narration couldn't save this book for me. The plot sounded promising. 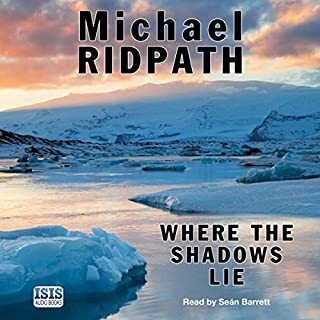 A police hunt for a murderer starts to overlap with the mysterious death of a lorry driver who had been people smuggling. Unfortunately the writer didn't ever draw me into the plot and I simply didn't care what happened. 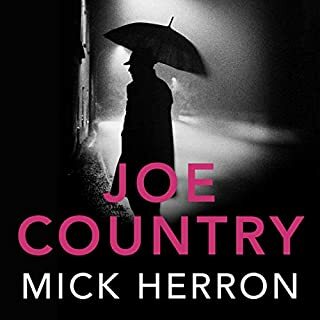 I don't think there was one likeable character, no real sense of place despite being set in Gloucestershire and the whole book was depressing and grim. The plot was slight and the author seemed to be aiming for a psychological approach instead, but I didn't feel he really got inside the head of his characters. On this evidence I certainly won't be trying anything else by this author. 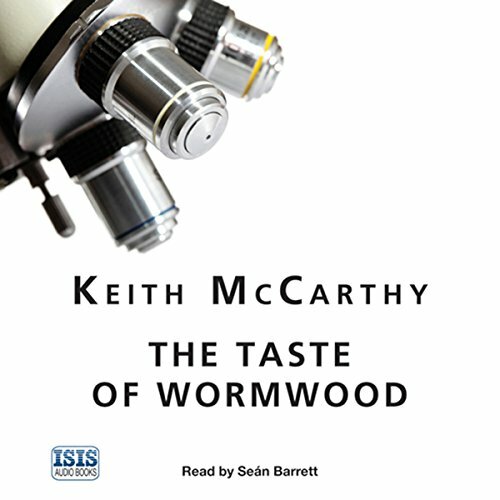 Where does The Taste of Wormwood rank among all the audiobooks you’ve listened to so far? Love the unspoken interpersonal tension among the characters. Gripping story develops through different characters' points of view. I can't stop listening to this book. This is a police procedural where whodunnit is not as important as why dunning. 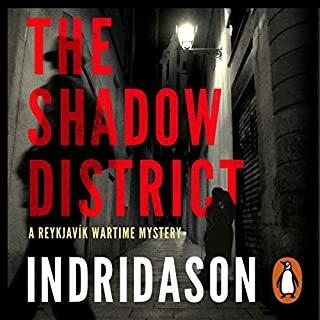 I was not sure if I was going to enjoy it, but I soon got hooke and appreciated the plot twists and characters with there real life hangups and problems in addition to the stress of solving murders. A well crafted and well executed book. Absolutely recommended! It is a gripping story, one of those ones you don't want to put down. I enjoyed the suspense and utter surprise at the twists in the story. Have you listened to any of Seán Barrett’s other performances before? How does this one compare? 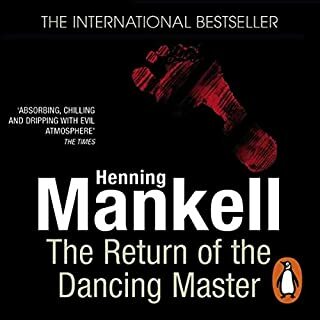 At one stage I almost didn't want to listen because I could guess what terrible things were going to be said - but I couldn't tear myself away from the grimness of the story being told. I found myself thinking "Oh my god". I enjoy the character-driven story and the myriad of motivations of the characters' actions and reactions. I find this more true in British mysteries (vs. American), and this book doesn't lag in that regard. 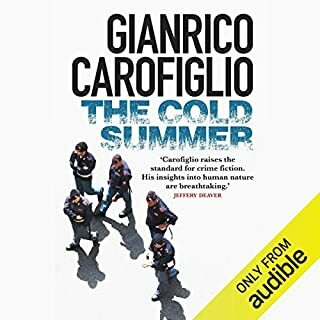 Internal politics, sexism, and racial profiling are rife in the police force, and this book includes all of it as a part of all the police-force characters, which I appreciate. 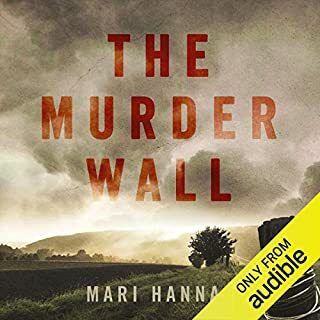 The actual plot involves human trafficking, smuggling, domestic terrorism, and revenge and is interesting but not really what the book is about -- it's the motivation for all of those things that make up the bulk of the book. Why the characters got involved in all of those will end up being the key to solving the crimes and preventing catastrophe. I'm not sure I buy the ultimately-revealed motivations, and that was the weak part of the book - but that only affected the final few chapters. Still, it means this is a book that won't stay with me for long, but it was enjoyable while it lasted. Forensic pathologist John Eisenmenger and Chief Inspector Beverly Wharton are drawn into a puzzling case from two separate directions. Eisenmenger was looking into the unexpected demise of a lorry driver back from a trip to Europe. Chief Inspector Wharton had the murder of a husband and wife that she was trying to solve. 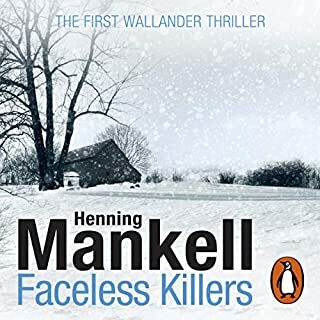 I wasn't terribly impressed with the first Eisenmenger book I listened to, but somewhere between 2006's A World Full of Weeping and this book, something good happened. 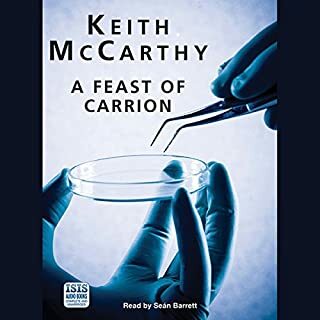 This isn't a whodunit, the main question is why was it done and McCarthy does an outstanding job of putting the reader into the heads of various characters. In fact, when the book was over and the current situation resolved I immediately checked his web site to see if there was a new Eisenmenger book on the horizon (unfortunately not).. I'm really interested in where he is taking his two main characters next. Seán Barrett does a good job with this one. No complaints about the narration. 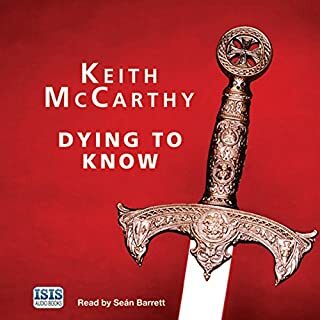 ...now I found Keith McCarthy...all his books are voiced by Sean Barrett. (insert smile emoji here). 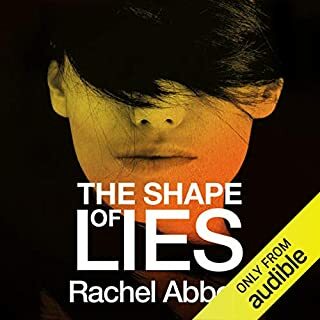 Listened to all but two...and the only reason I didn't listen to them is because they are not offered by Audible (hint!). So there you have it. Good listens, but have OED or Google handy. Several words to look up. "Abattoir" anyone?